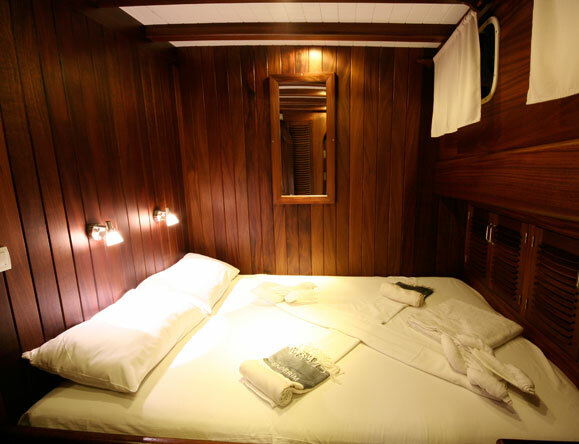 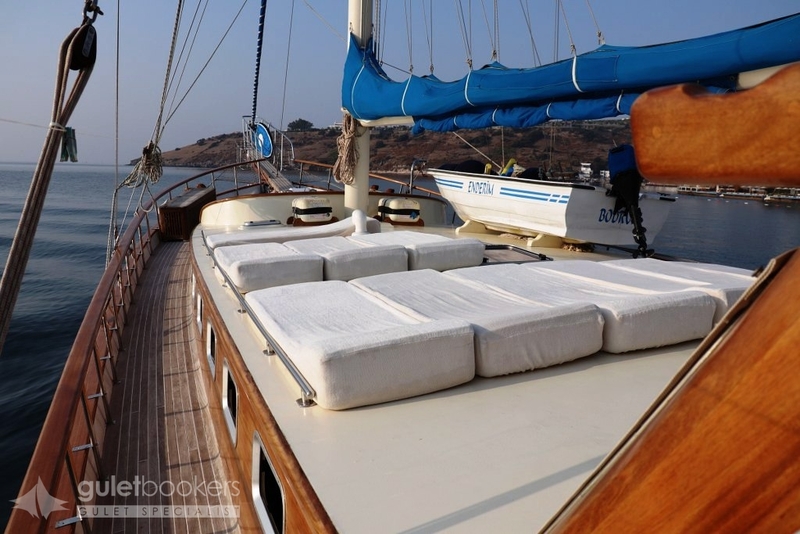 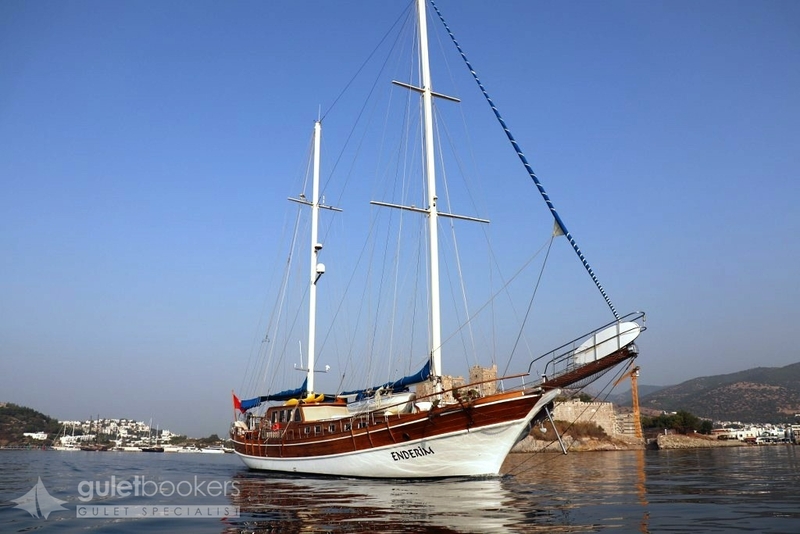 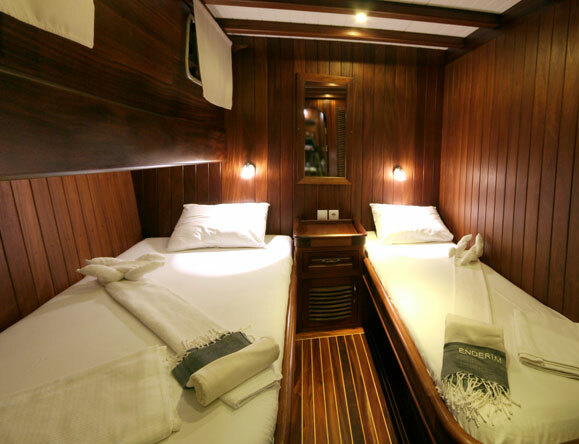 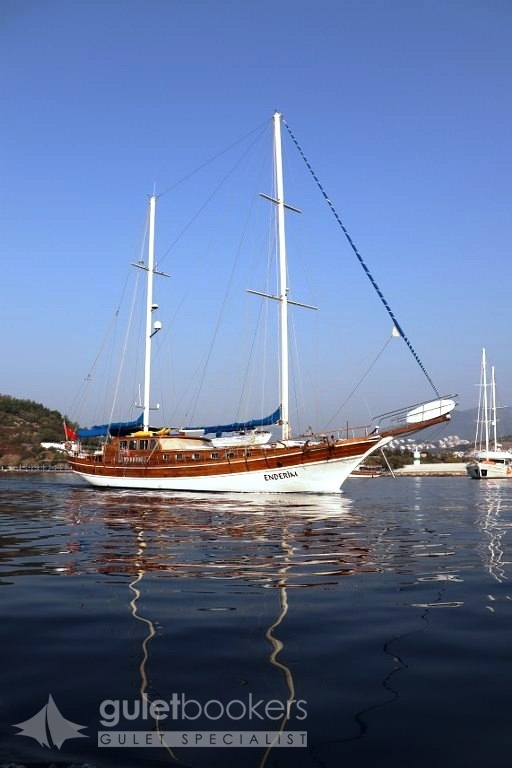 Luxury Gulet Enderim 25 meters 5 cabins private gulet in Bodrum -Turkey. 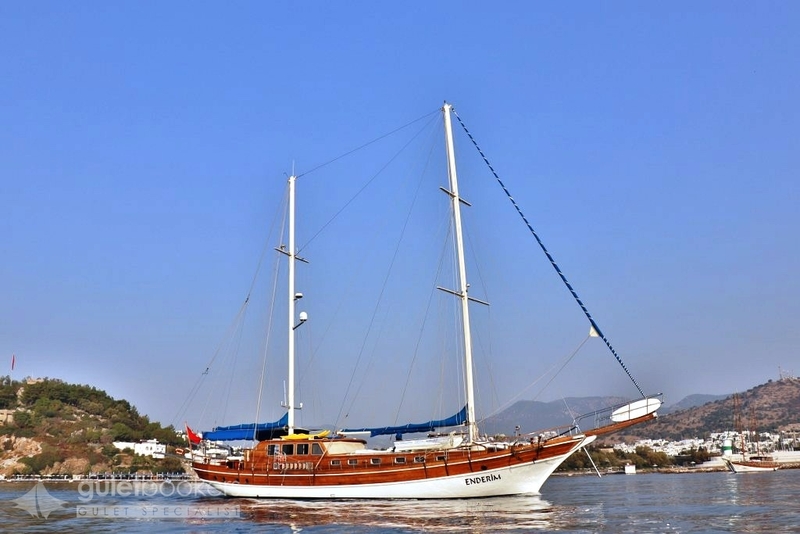 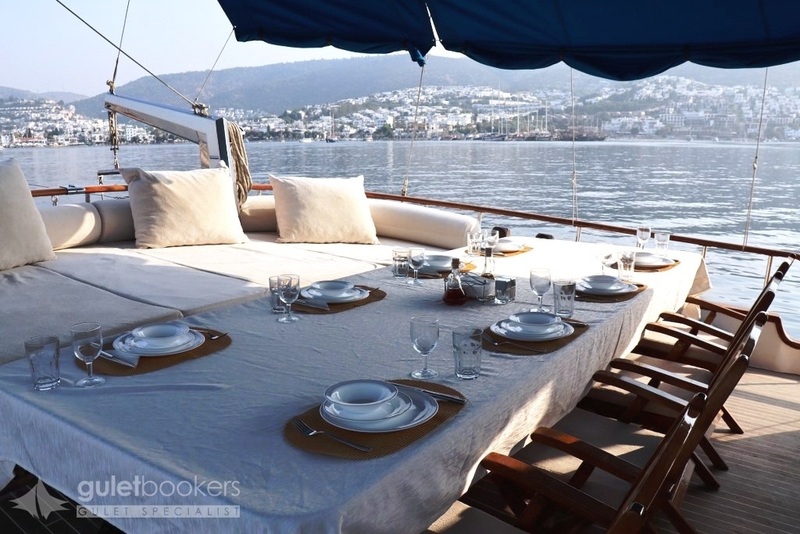 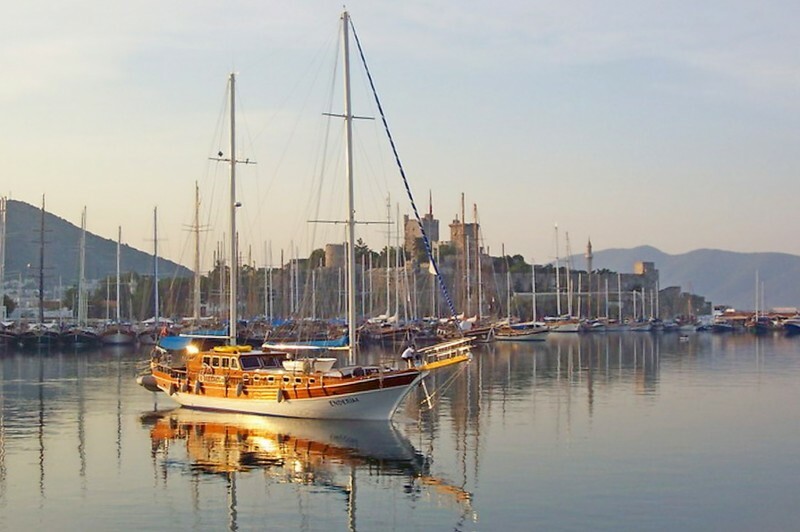 Cruise the Turkish coast on the luxury gulet Enderim, a beautifully kept and refurbished boat that has given many guests wonderful memories of a traditional gulet charter in Turkey. 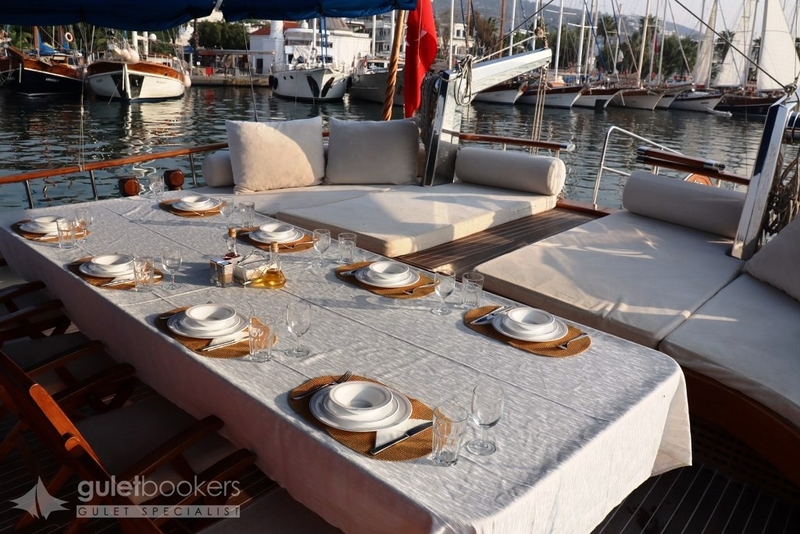 Enjoy relaxed informal alfresco dining on the aft deck, or chatting on the shaded cushion pad under the awning while others soak up the gentle rays on the foredeck sunbeds. 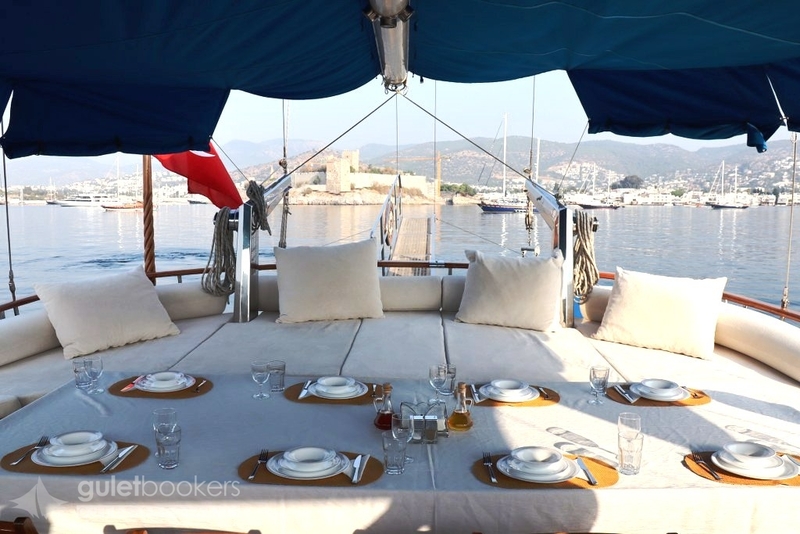 The crew on gullet Enderim will happily bring your drinks to you, even as you relax on the forward deck bench for a sundowner. 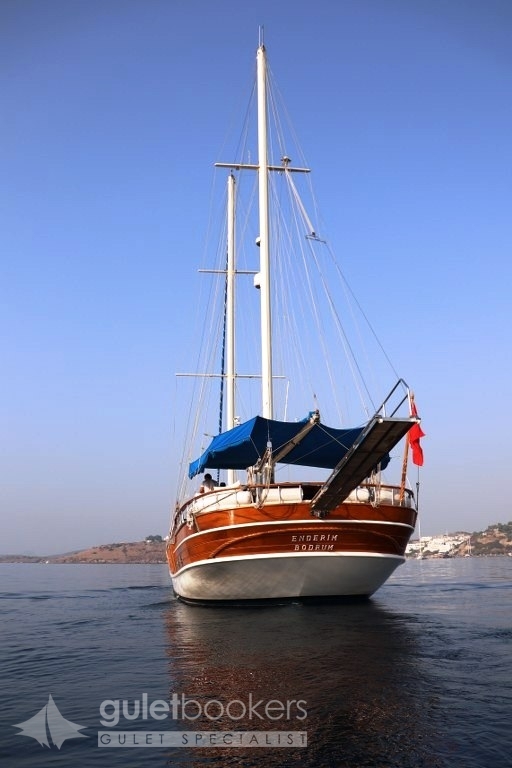 Go for a swim, snorkel or take the canoe out while anchored in a sheltered cove. 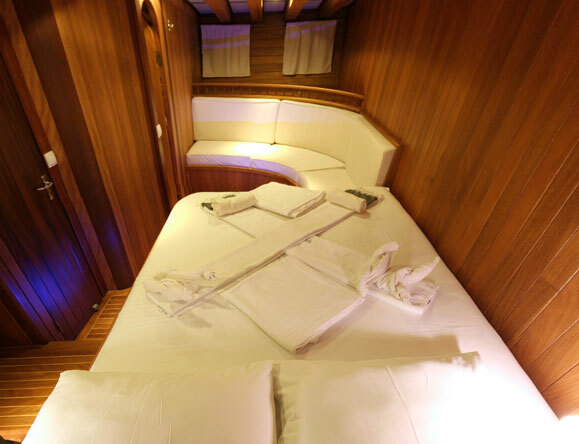 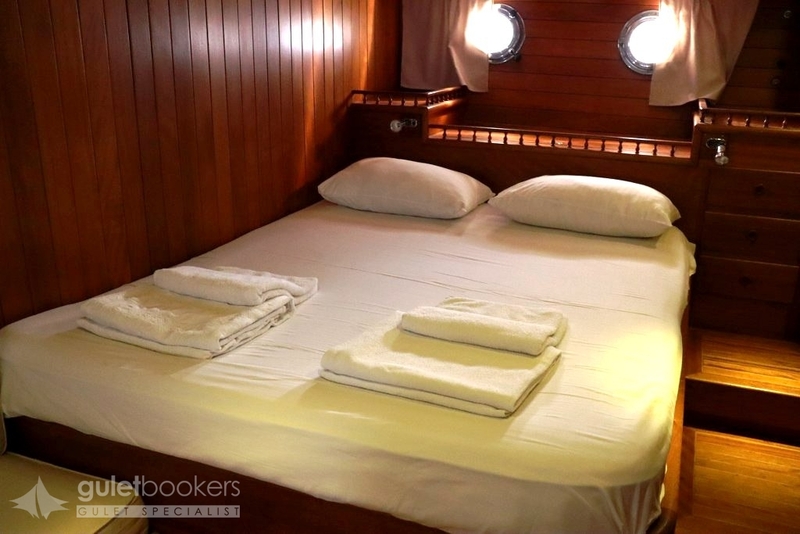 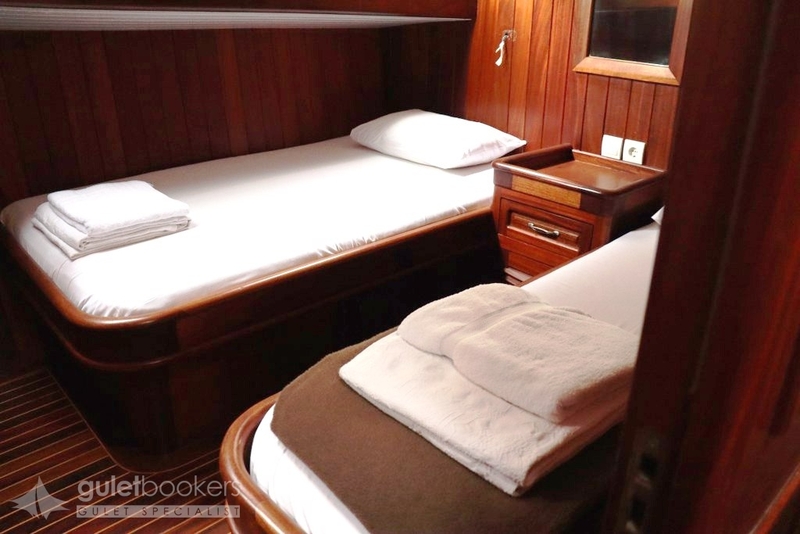 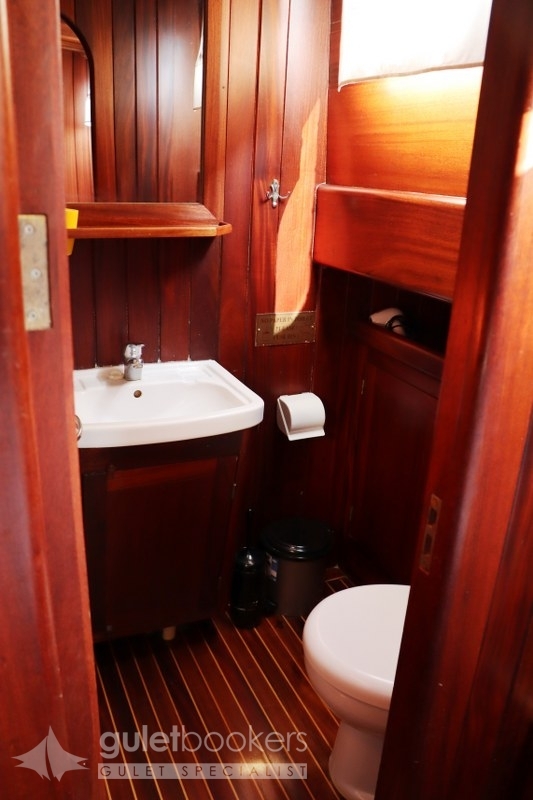 Within the gulet’s 25m curved wooden hull, are five cabins for up to ten guests- two large doubles, two standard doubles and one twin cabin, each with private shower bathroom and air-conditioning. 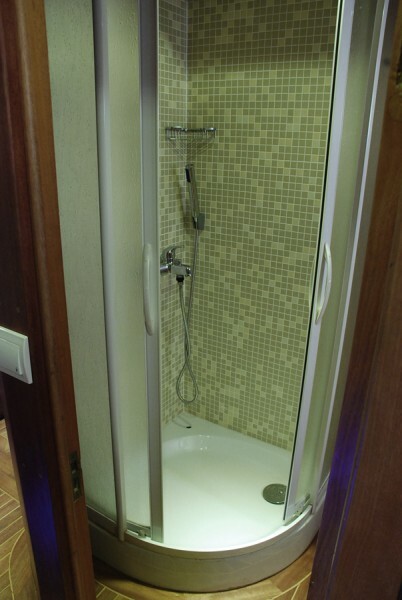 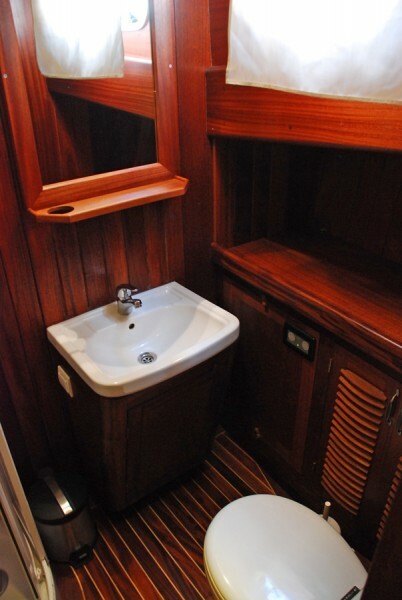 The rear double cabin has its own privacy and entrance way, while the other cabins are all forward. 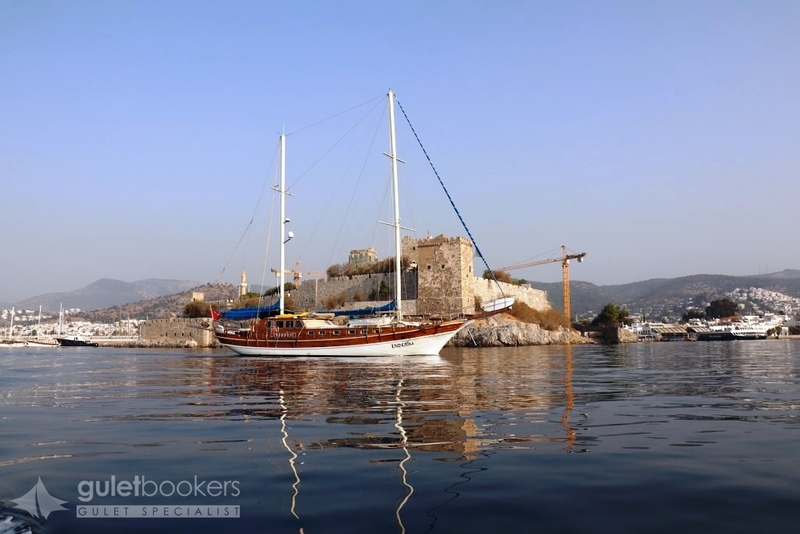 The captain and crew of three do all the cooking, boat care, sailing and navigation, so lie back and enjoy a classic gulet holiday on the Enderim!